We first met Rachel in September; she was nice and very unassuming. When we got her 1:1 in our New York Bootcamp, however, we were impressed with her experience, her depth of business understanding and her very solid motivations for her passion about consulting. This is a transcribed phone interview between Rachel (name changed) and Jenny Rae – enjoy her insights about failing the first time around but coming back for consulting success and landing an offer with McKinsey in her senior year. Hi Jenny Rae. I’m great, how are you? I’m great. It’s good to hear your voice. Happy Friday to you. Can you believe it’s already November? Yeah, I know. It’s a cold day. I went to Starbucks this morning and they already rolled out their Christmas cups. Out of control, right? Totally. Before you know what it will be summer again, though. That’s the way that I look at it. I just wanted to have this chat today to get a little bit more insight on your whole process because I interacted with you right in the middle of it. First of all, congratulations on your offer. Now, I just wanted to get a little bit of back story. So I have a series of questions that I’ll ask you, and just feel free to share a little bit about what your process was like. So first things first – you decided to go to a target school in New York, but when was your first exposure to consulting? Why did you decide that was something you might be interested in? Well, my school had a series of events just on campus, hosted by the business societies, and I showed up to a few of them in freshman year. The way they described consulting was really interesting to me because I didn’t really know what I wanted to do, and it sounded like really good exposure right out of college, essentially, and I thought maybe this would be something I might be interested in. So I sort of left it there at that point, and then by sophomore year I went to more events specifically for case interviews, and I felt it was pretty interesting. So it was in the back of my mind, and I planned to apply for summer internships during junior year for the top firms. So I guess that’s how I started with consulting. And I reached out to a lot of people as well over the summer. I found Alums on LinkedIn and asked people to chat just to learn about what their life was like and everything they described just made me more interested. Great. Okay, so let me ask you a couple of follow up questions based on that. First of all, when you were reaching out to alums, did they reach back to you? Did they reply? And if so, what do you think was effective about your process of reaching out? Yeah, actually everyone I emailed responded to me, and I called them on the phone and talked for about 30 minutes. I did this with about 8 to 10 people. And this was the summer before junior year. So everyone was really responsive. I basically said that I wanted to learn more about consulting, and I wanted to see if consulting was right for me, and I just wanted to get an insider’s view of what their lifestyle was like, and what their recruiting process was like. So that gave me a lot of information that I worked with when I tried to apply to internships within a few months. So I think that was really helpful. I feel like a lot of people aren’t aware that they can just reach out and people are just really friendly and want to help you. I went through LinkedIn; I don’t know if that’s the best way to do it, but I had a friend who also did this for banking and she was very successful at it, so that’s why I decided to try it. Great. How did what you are studying in your degree either reinforce or expose you to other options outside of consulting? In terms of my major, what attracted me to it most was that you are working with problems that are yet unsolved, so it’s thinking about the way to solve the major challenges of the world right now, like global warming, poverty, economic development, etc. I guess I looked at options related to my major, but I felt like none of the options were really as challenging or as intense as something I wanted right out of college. So pretty much from the start, consulting was something I really wanted to do. I guess consulting is sort of the same in that you have this challenge, but it’s very ambiguous and you have to come up with a structure to solve it. The thinking process behind it was really interesting to me. Amazing. So you said your initial focus was to think about it for your junior summer, right? So tell me a little bit about that process and what happened. Okay. Well I was studying abroad for my entire junior year, so when it came to recruiting in early January and February, it was really difficult for me because everything was on campus and some of the firms wouldn’t do Skype interviews, so I had to cancel a lots of interviews. But I interviewed with McKinsey, BCG, Oliver Wyman, and Parthenon for summer internships, but I actually didn’t get to intern with any one of them. Which was probably kind of scary after that was your dream for such a long time, right? Exactly. I had also done a lot of case prep before hand, so I felt like I was ready, but yet the results spoke otherwise. Totally. Did you get any feedback from the firms after that happened? I did. So some of them said I could be more structured, but some of the feedback was “you’re really structured, but you need to work on the fit portion.” So it was very varied. Everyone said different things, so I didn’t really have a clear picture either. What I look back on it, I think the way I did my cases just weren’t at the bar they had set. So I think going forward this time that was my main focus. I pushed to the second and third level insights and really tied insights back to implications or trends that are going on right now. I think that really made the difference. I feel like that’s what impressed the interviewers most this time. Okay, great. So, tell me a little bit about what you did differently this time around in the fall. So this time around I felt like one major difference was doing face-to-face case work. Before I had just Skyped with friends, or just called people up. And some of them didn’t really have experience, so I couldn’t really judge how well I was doing with the cases. I felt like I was doing a lot, so there was a lot of quantity, but the quality probably wasn’t as high. This time I reached out to a lot of MBA students and also friends who made it to second round for an internship, but didn’t get an offer. So I felt like the caliber of people I was practicing with was higher, and also face-to-face it was really different. And I think that helped me a lot. Secondly, for the interview I spoke with a lot of people, just alums, and they coached me and said I needed to smile a lot more in the interview – saying “even if you’re nervous, you can’t show that at all.” So I really tried to focus on that going into all of the interviews. Also, like I said before, the second level insights are really important. And I think in general just having the mindset that the interview is really like a conversation, I made it a two-way conversation, like a dialogue essentially. Before, I think I was overly structured and tried to work through the case, but they’re not really interested in you getting to an answer, it’s how you think about it and just being more transparent in my thinking. Great, okay. And can you walk through each of the top firms that you interviewed with, and what the process was like? Save the one that you decided on for last. Okay. So I interviewed with actually a lot of them. I had Booz & Company and I made it to final round, but I canceled it because I got the offer I wanted. I interviewed with Oliver Wyman, but I didn’t get an offer. I had first rounds at BCG, but didn’t advance, and I had final rounds at Bain, but also did not get an offer. So the only offer I got was McKinsey, but that was my top choice. Great, okay. Obviously, this is always interesting because there are definitely really specific differences between the firms. So tell me about, as in depth as you can, about your McKinsey process. So at McKinsey they told me I had a first round interview and invited me to take the PST, so I went to the office on Monday and took that. The first round interview was the following Thursday, and that was also in the office. There were two cases, and I felt like one went extremely well, but the second one was sort of on the fence, and I wasn’t sure if I was going to pass based on that. But they called me, I think the following Monday, and told me I had final rounds at the office I had noted as my first choice. They said that was that Friday. So, essentially, I had to fly out in four days for the final round. Nothing like a little bit of pressure, right? Yeah. And the funny thing is I had Bain final rounds that Wednesday in Boston so I was flying out after that. It’s kind of rude that they make you do school at the same time that all of this is happening, right? Yeah, I had midterms as well, so it was kind of tricky. Tell me about the final rounds with McKinsey. So for final rounds with McKinsey I had 3 interviews, and each was about an hour long. Two of them were with directors, and one was with an associate principal. I felt like the ones with the directors, they flowed really well. It was very much a conversation. It wasn’t as structured. They didn’t really focus or grill me on the personal experience portion, they just wanted to hear my story and why I wanted to do consulting. It was a pretty good conversation I think. The cases were also fairly unstructured, and they weren’t really things that I had practiced. One of them was an agricultural case – it was essentially a thought experiment about how a sugar plantation in a Central American country would look at things, like prices changing. So it was very interesting. And the one with the Associate Principal was more structured and more of what I experienced beforehand for first rounds. Okay, great. Two questions. First, how do you think you did with smiling on the day, like the advice that was given to you? I think that really helped because it showed them I was pretty confident, and that most of all I enjoyed working on the cases, and I enjoyed talking with them. So I think that really did make a difference. And then second of all, how did you feel at the end of the day? 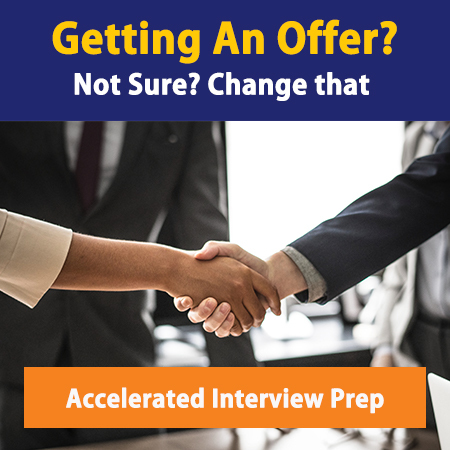 Did you feel like you would get an offer? Were you unsure? Or did you feel like you wouldn’t get an offer? I felt pretty positive after the interview. I felt like I had a really good chance of getting an offer. Especially because that was one of the earlier dates because everyone else who was interviewing on that day was an MBA, or doing first rounds locally. So I don’t know if there were any other final round BA candidates. So I think being early also might have made a difference, I’m not sure. But I did feel pretty positive afterwards. Excellent. And so when did you get the call, and what did they say? I got the call about two hours later. They said, “We’re really excited to have you, and we’d love for you to join. Everyone enjoyed speaking with you and we just think it’s a good fit.” So it was very exciting. Awesome. So have you accepted your offer yet? Yeah, I did this week. Wonderful, okay. So you’re starting one of their dates probably in August or September next year, right? Yeah, I haven’t decided. The range is pretty vague, so the earliest I could start is next April, which is before school even ends, and the latest is the following March. So I haven’t decided when exactly. Wonderful. So if you wanted to take some time to travel, then you would have the opportunity to do that, right? Yeah, exactly. I’m not sure if there is an advantage to starting earlier or not, so I’m not sure. From my perspective, there isn’t. You might be a little bit ahead of the promotion cycle, but they are going to keep track of that internally. I think they really offer different start dates to give you the ability to come on board when you’re ready. And so I think if there are things that you want to do, adventures that you want to have before you start working, it’s great to take the time to do that. And I think you’re going to have a great experience at McKinsey. What you go into it looking for is going to be what you take out of it. You may stay for a couple of years, you may stay for your entire career. You never know at this point. Well, many congratulations. I guess I have one more question. So you came to our New York Bootcamp in the middle of your process this fall, and I’d love to know how you were thinking about how that fit into your preparation process, and what you learned when you were there. Okay. Well, I went to your Consulting Bootcamp Lite on my campus, first. So, I felt like the two together were pretty helpful. I think most of all was your perspective on the fit part of the interview. I hadn’t realized it was that important, and I guess the exercises we did really made me think about what I wanted to say and what kind of narrative I wanted to give for the interview. I essentially gave that pitch for all of my interviews, and I think people were really receptive to it and without that, I definitely would not have prepared that much for that part of the interview. And I think that made the biggest difference. And also I think a lot of what you said about the interviewer’s mindsets, that sort of helped me understand where they were coming from so I can tailor my answers better. Amazing. Well, I really enjoyed having you. I enjoyed working with you one on one. I’m excited that you were able to share your story, and I’m really excited about your success going forward. Thank you so much. I think it definitely helps. I felt like this is one of the few chances I could interview for these firms, and I needed to do everything to maximize my chances. Wonderful. Well, Rachel, you know you have an open line to me if you have any questions as you are thinking about start dates or preparing, and all of us at MC are rooting for you. So thanks again so much for taking the time to do the call. I’m really excited to hear about where you’ll end up in the future.